Huawei Y Max with 7.12-inch screen and 5,000mAh battery is official! Home / huawei / mobile / news / Huawei Y Max with 7.12-inch screen and 5,000mAh battery is official! 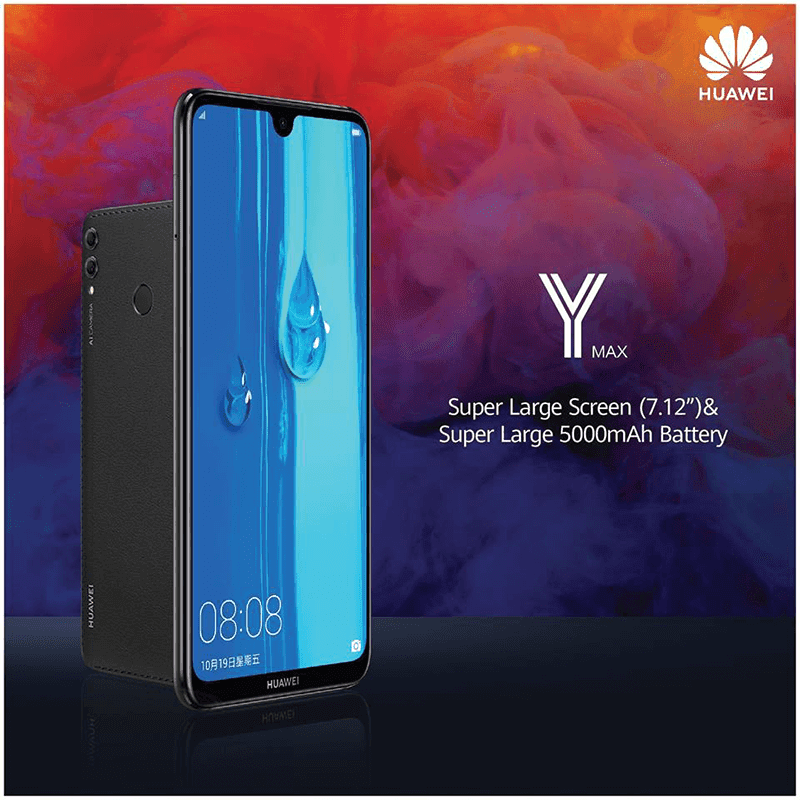 Aside from the Y6 Pro, Huawei Sri Lanka made the Y Max official. It's a mid-range grade phablet with huge battery capacity. Huawei Y Max sports a nano-scale laser-crafted back piece with a leather-like feel. The rest of the features and specs reminds us of the Honor 8X Max. Huawei Y Max comes with a dewdrop 7.2-inch FHD+ screen with TÜV Rheinland eye care certification, Snapdragon 660 SoC, 4GB RAM, 128GB expandable storage, and massive 5,000mAh battery capacity with up to 2 days of battery life. It also has an AI-assisted 16MP + 2MP dual-camera setup at the back that can recognize and optimize up to over 500 scenes in 22 categories. For selfies, there's an 8MP snapper. As expected, it has face unlock tech, fingerprint scanner, stereo speakers, Dolby Atmos audio, 4G LTE connectivity, and Android 8.1 Oreo OS with EMUI 8.2 skin. In Sri Lanka, the Y Max is priced at LKR 52,990 or around PHP 15.5K. See also: Huawei Y Max with 7.12-inch screen is now available at Argomall for PHP 16,990!